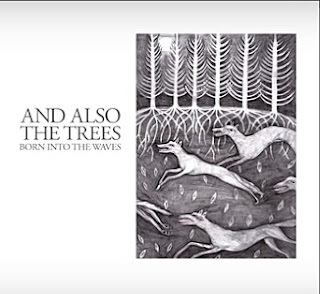 In 2016 And Also The Trees returned to Greece for two appearances in Thessaloniki and Athens in furtherance of their new album "Born Into The Waves". This short film feature excerpts live snippets from their setlist with songs of the new album and a selection of almost all their career. As well as two exclusive interviews with Simon Jones recorded in Thessaloniki by George Georgiou and Athens by Giannis Frangos. 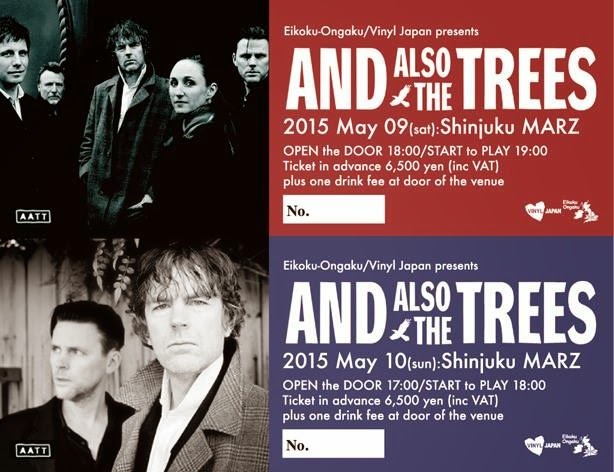 Click here for the live report of the Thessaloniki concert and here for the equivalent of Athens, including setlist. 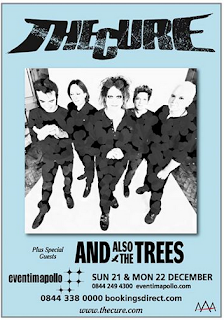 And also The Trees will play the UK again as very special guests to "The Eden House"
And Also The Trees will play the first Birmingham show since 1986. 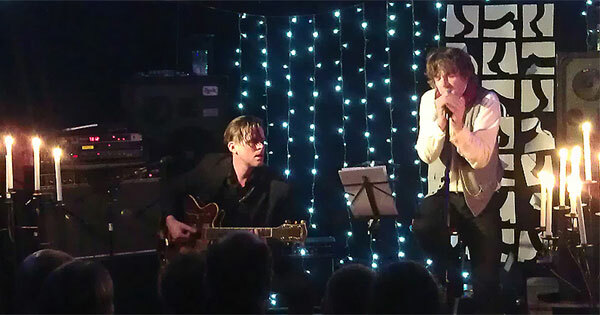 Justin and Simon Huw Jones have accepted an invitation to play at the intimate, underground venue - Studio 603 in Vevey, Switzerland on Sunday December 15th. It was the first time they have played together as a duo. Justin did play his electric guitar and the set was based around 'And also the trees' Songs including a new song and song versions. 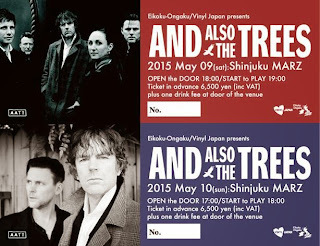 It was a unique experience to 40 people (sold out) - maybe a complete one off, or maybe the beginning of a new chapter for the 'Brothers of the trees'. FD Recordings is proud to present its first long live film 'Missing in Mâcon'. 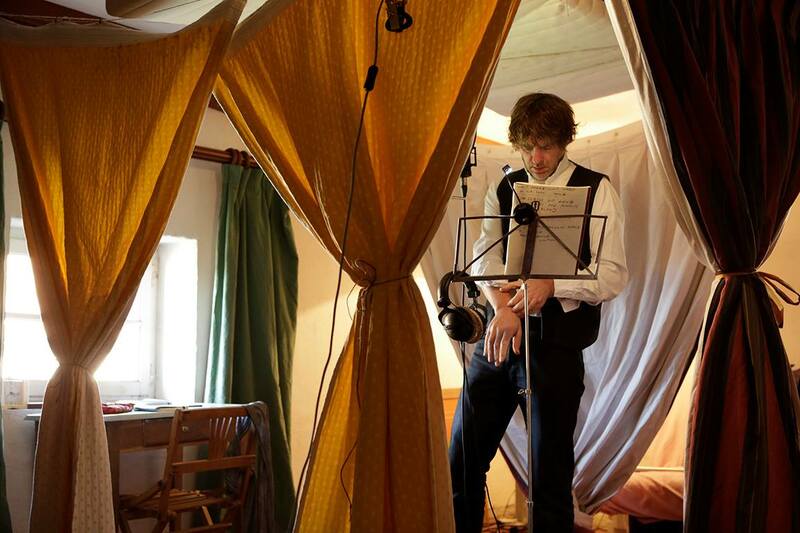 Audio was recorded on multitrack and mixed. Made by fans for fans! ... but you can help FD Recordings if you want via paypal: fdshow@free.fr. The first disk features the original symphonic version written by Oliver Mellano and performed by the Symphonic orchestra of Brittany with soprano Valérie Gabail on voclas. 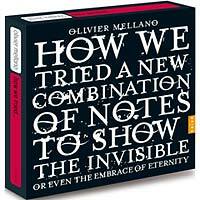 On the second disk Mellano transcribes the classical version to a 'electric/noise' version with seventeen electric guitars, percussion and featuring Simon on vocals. And the 3rd CD is 'Electro/hip-hop' version featuring 'MC dälek', Black Sifichi and 'Arm'. Included in the box-set is also a DVD of the award winning film made for the piece directed by Alanté Kavaité. How we tried a new combination of notes... will be performed live - all 3 versions one after the other - as part of the 'Trans musicales festival' at the Opera House in Rennes on December 7th, 8th and 9th. On 5th. October Dark Orange release their upcoming album Horizont. 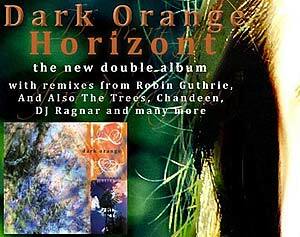 Dark Orange are part on Beyond The Horizon with their contribution of the reinterpretation of 'The House of the Heart'. 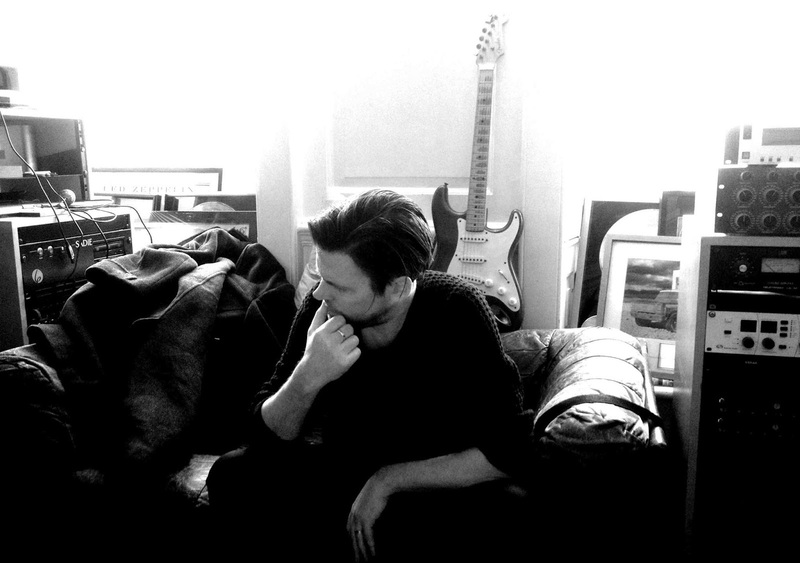 Katrin Elna und Dirk Odu's new songs will feature Steven Burrows on Bass Guitar. 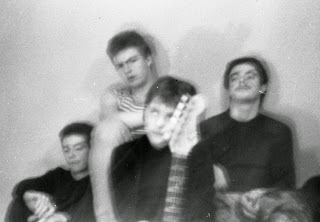 It also will include a second CD with 17 remixes including "Irgendwo Im Nirgendwo" remixed by Mark Tibenham (former producer of AATT), "Flieg Mit Mir" (remixed by Emer Brizzolara) and "Nebel Zieht" (remixed by Steven Burrows). You can find more information at Kalinkaland and order the album at infrarot. Alexandre François and Gaspar Claus produced four acoustic "take away videos" for And Also The Trees in Paris last winter. 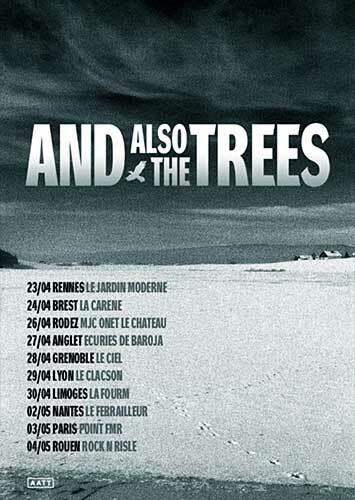 They are now released in the series Les Concerts A Emporter on La Blogothèque. 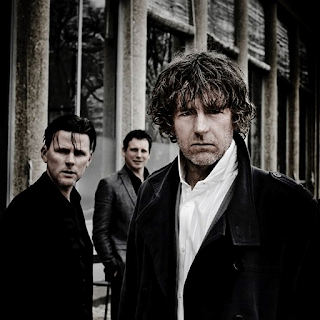 They feature "A woman on the Estuary", "Whisky Bride", "Only" and "Burn Down This Town" with commentaries from the band what these songs are about. And from the video producers about the day of shooting of these videos. Do not miss this excellent insightful presentation presented by La Blogothèque, the guys which also brought you the unique 'Back on Stage' footage of Paris La Maroquinerie 2007.